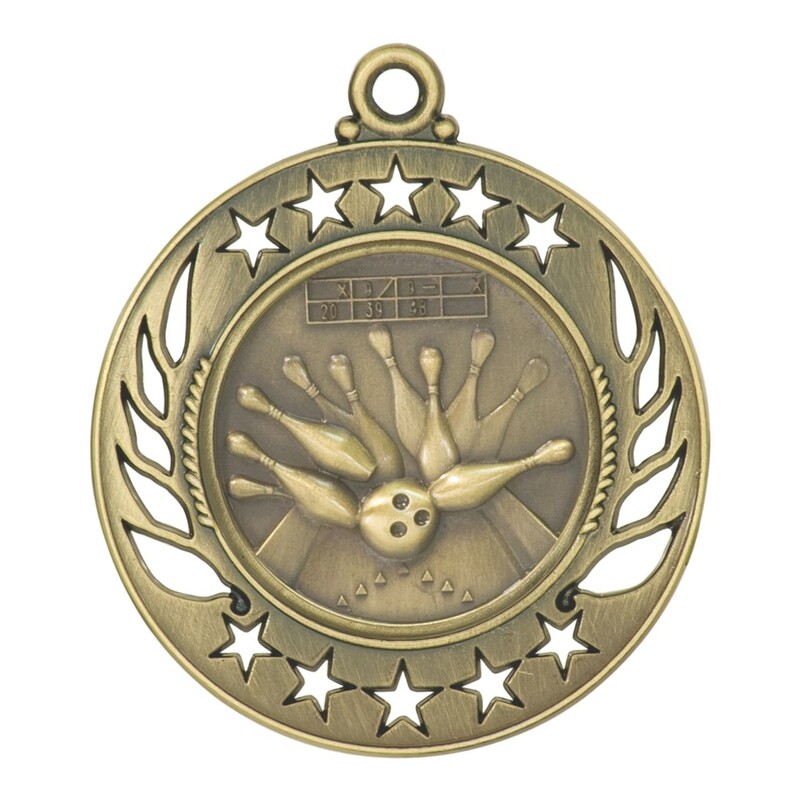 The Stencil Cut Bowling Medallion has a brushed bronze finish featuring a strike in progress and decorative star cutouts around the rim. A bowling medal is the perfect bowling award for large leagues, older bowlers, or seasoned bowlers running out of space on their trophy shelf! 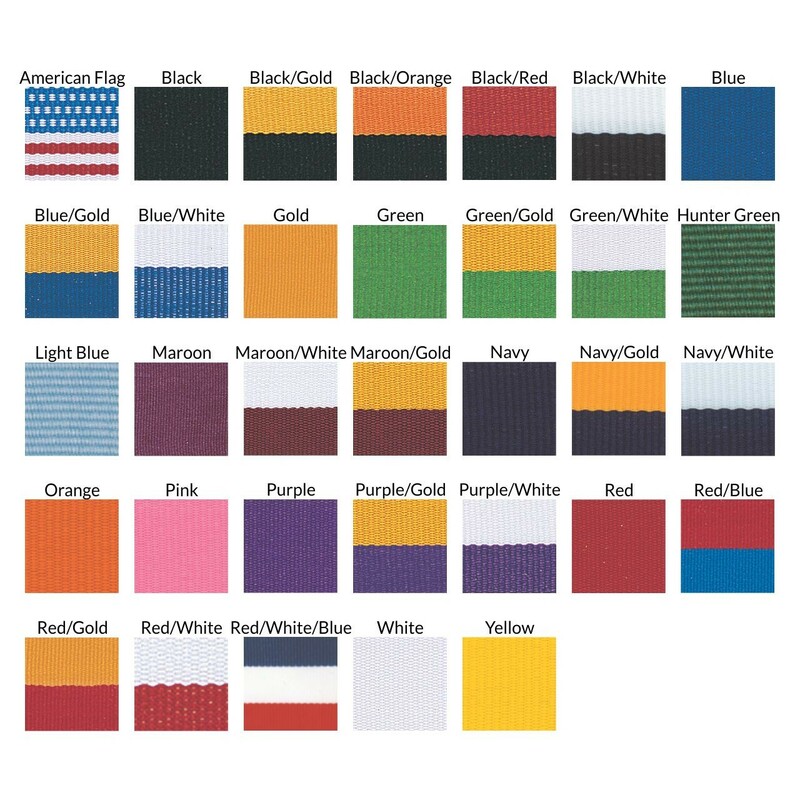 Includes personalized engraving and your choice of neck drape color.